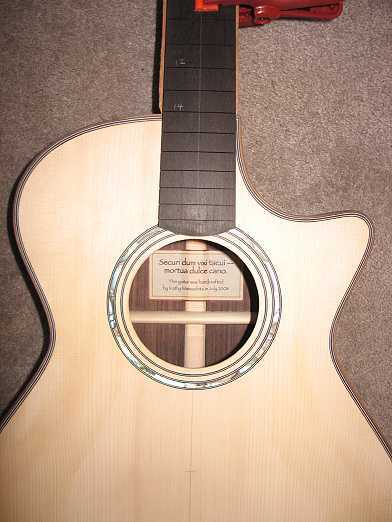 The next things I did were really easy, in comparison to fitting the neck. 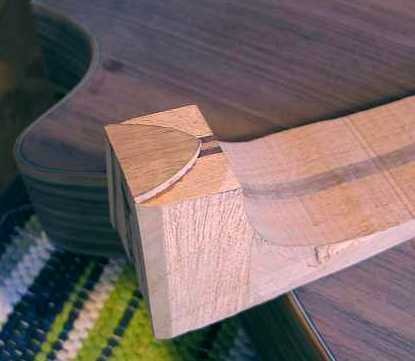 I superglued a koa heel cap to the end of the heel, after trimming the heel. To glue it on, I first placed Saran wrap on the soundbox where glue might contact it, bolted the neck to the body, put superglue on the heel cap, and then placed the heel cap onto the heel and against the soundbox. 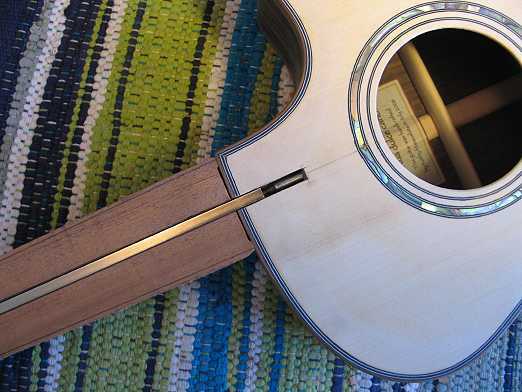 Finally, I trimmed the end of the fingerboard by bolting on the neck, marking where I wanted the fingerboard to end, and using the lid from a large jar to mark the curve on the end. I cut it close with my bandsaw and then finished it off on my disc sander.